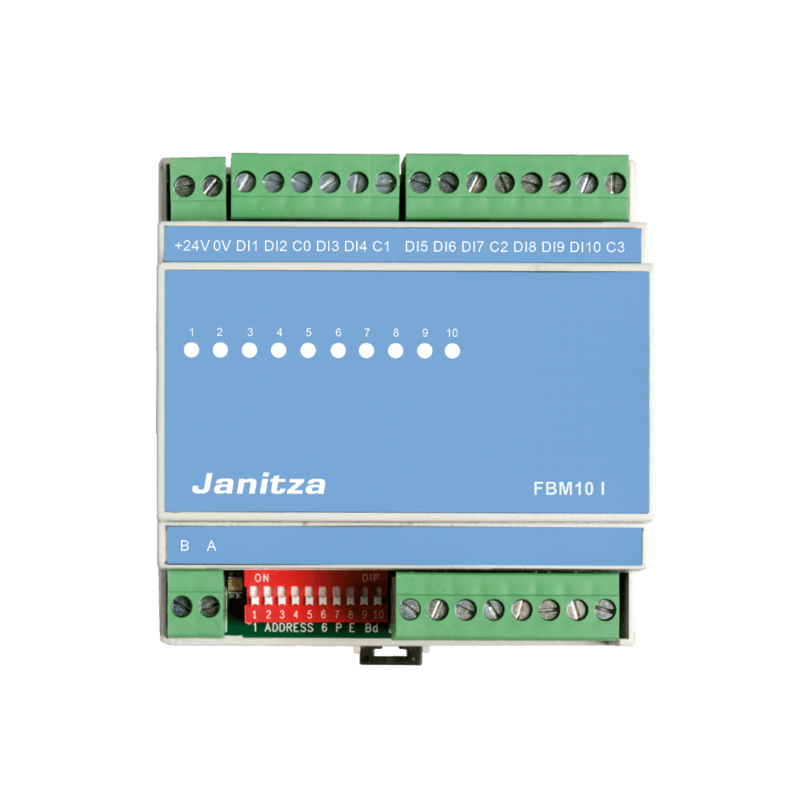 The FBM10 series represents a cost-effective alternative to the WAGO I/O system. All FBM10 modules have an RS485 interface with the Modbus RTU protocol and can be used as slaves for devices from the UMG 604-PRO, UMG 605-PRO, UMG 508, UMG 509-PRO, UMG 511 and UMG 512-PRO series. The devices from UMG 104 and UMG 507 series cannot be used as masters for the FBM10 modules. Many UMG measuring devices have an RS485 interface with a Modbus RTU protocol, which enables extremely cost-efficient networking. It features simple topology configuration and a lack of sensitivity to EMC interference. Communication between the sender and the recipient takes place on a wired basis via a sheathed, twisted pair cable. GridVis® is a comprehensive and scalable piece of software for setting up an energy monitoring system and monitoring the power quality. It is used to both program and configure many UMG measuring devices, as well as to read, process and analyse the measured data. Typical applications are energy supply, industrial systems, facility management, etc. The integrated thermistor input for thermal elements (PT 100/1000, KTY 83 or 84) can be used in diverse ways. Therefore, sensitive system parts can have further protection in addition to current and power monitoring, e.g. transformer temperature. Typical application areas are temperature monitoring in low voltage main distribution systems, transformers or server cabinets.